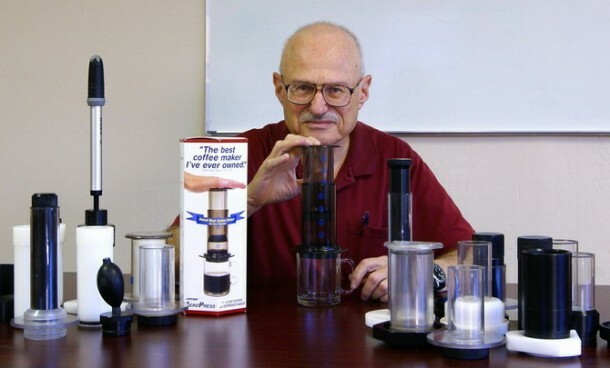 Fast Company has a nice interview with Aerobie AeroPress inventor, Alan Adler, covering his background briefly as well as some of the back story behind the development of the Aeropress . This is the coffee maker that spawned a legion of coffee geeks. Paired with a hand mill (like the $27 Hario Slim ), it’s the cheapest and easiest entry into the world of specialty coffee at home — it’s what got me hooked! 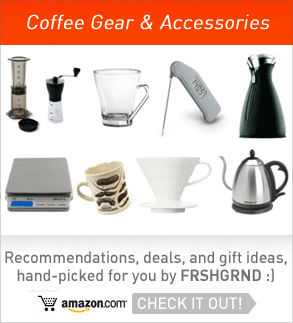 “In the case of the AeroPress, I was just experimenting with a better way to make a single serving of coffee. This was in 2004. I had a conversation with Pam Abbott [the wife of Aerobie sales manager Don Abbot] and we were both commiserating about how crummy the result of trying to make one cup of coffee in a drip maker is. It just didn’t really come out very good. Read more of the interview at Fast Company. Also, check out this other piece on the Aeropress’ background here at Priceonomics, which also goes into a lot more depth on Adler’s other inventions. The interview is very interesting, thanks for pointing that out.